First off, a Happy Holidays to everyone, and now that Christmas and the New Year is upon us, so comes the end of the fantastic 75th Anniversary celebration of the Batman. 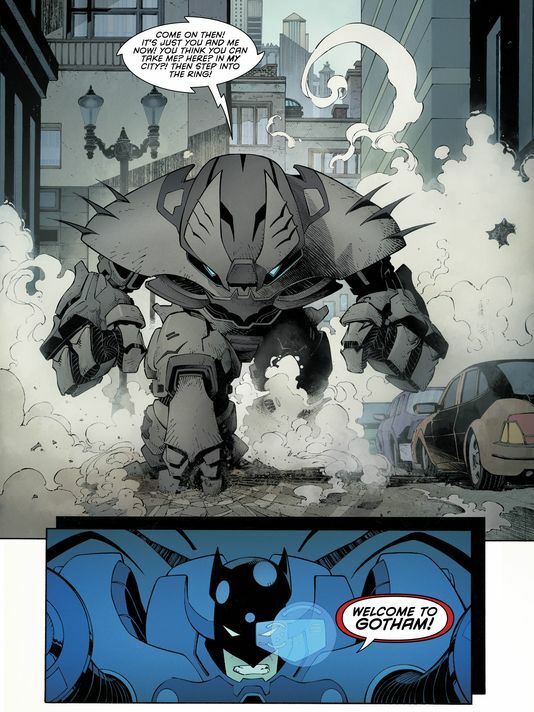 I’m sure it’s been a good year for fans of DC Comics’ own Dark Knight and Caped Crusading hero himself, and there’s been plenty of good storylines for our favorite superhero- including wrapping up a “New 52” retelling of Bruce Wayne’s path to becoming the hero Gotham City deserves with “Zero Year“, and the currently ongoing weekly series “Batman Eternal” to boot. 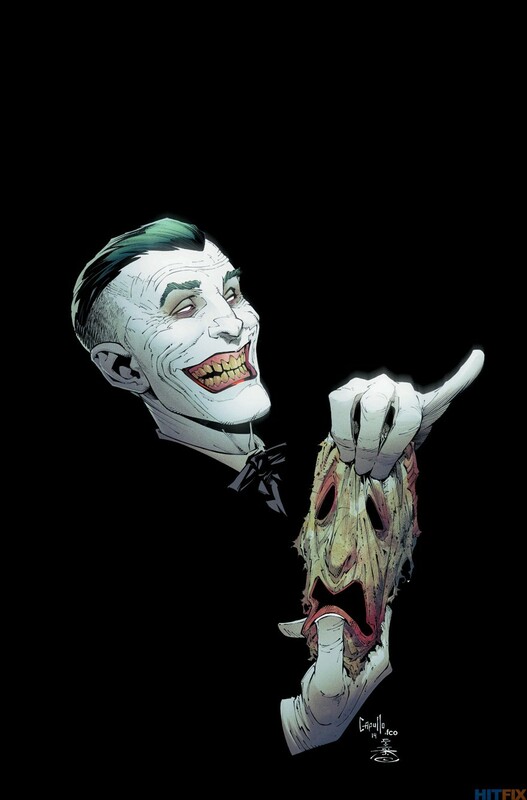 However, fall of this year also brought back something deadly for Bruce Wayne and his alter ego to face… And it’s the sinister grin and maniacal face of the Clown Prince of Crime himself The Joker. 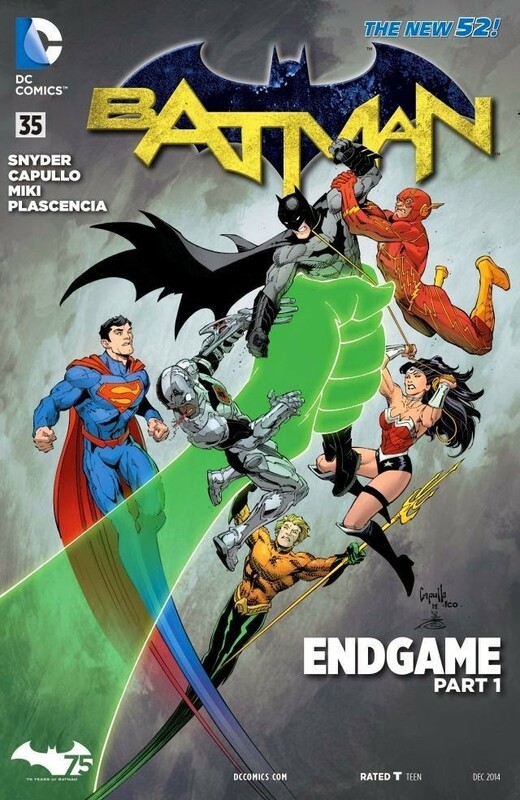 Yes, in case you missed the news- Batman #35 started a new storyline called “Endgame“, and the greatest arch-nemesis of the Batman signaled his grand return by unleashing the Justice League upon Batman and Gotham City. Taking place after the events of Batman Eternal (which isn’t finished yet btw), Bruce Wayne and his allies in Alfred and Julia Pennyworth try to reestablish themselves in a new base of operations. 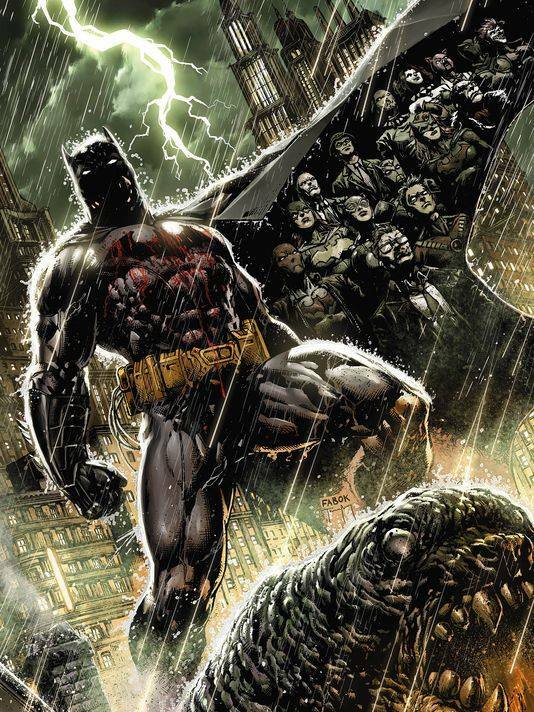 Unfortunately, Batman is attacked by his own teammates who make up the World’s Greatest Superhero team. Members of the Justice League like Superman, Wonder Woman, The Flash, and Aquaman all attack without any explanation whatsoever, forcing Bats to take the necessary countermeasures and fight back… Including using a new “Thrasher Suit/ League Buster” suit to take on the Man of Steel. 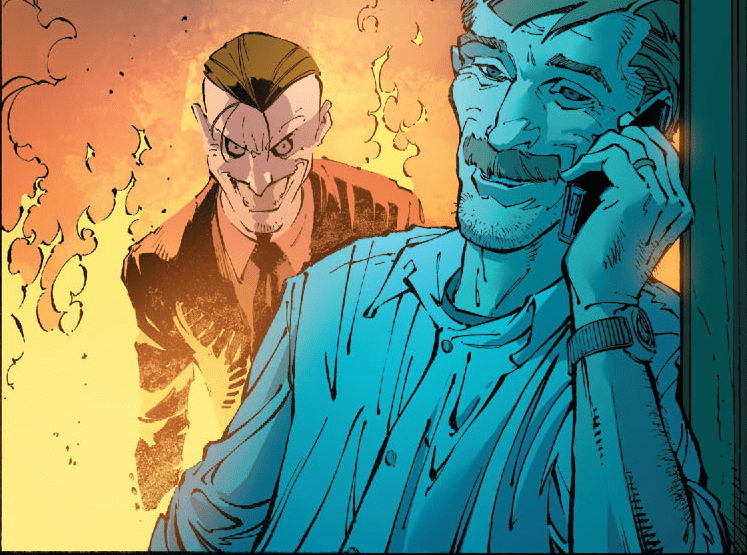 The end of that issue saw that they were all of them controlled by a new and modified version of the “Joker gas” that the Clown uses to put his victims in a smiley state. 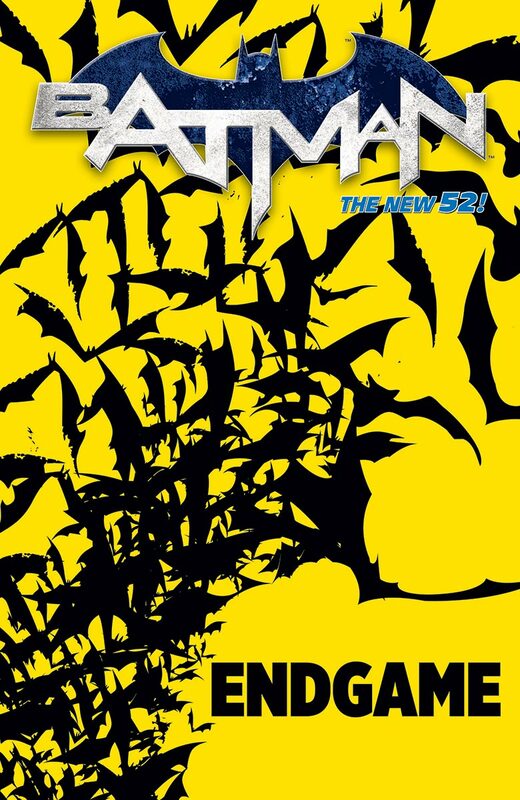 Batman #36 finally saw The Dark Knight finish taking down his unbalanced peers and getting them the medical attention they need. 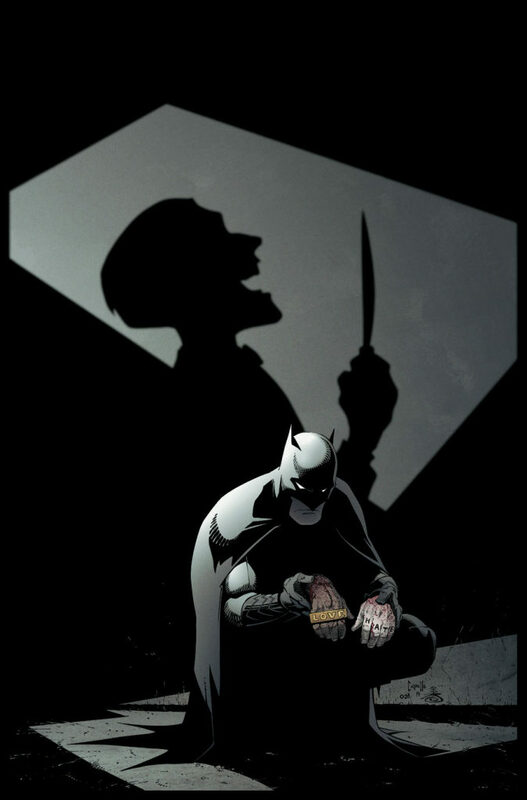 However, a cure was far from being discovered, and Bats had to track down the mastermind behind it all… Using all the resources he had at his disposal to find an enemy whom he last saw fall off a cliff during their last encounter. Unfortunately, Batman couldn’t even see what was in front of him for months. One of Arkham Asylum’s orderlies, a man named “Eric Border”, revealed himself as Gotham’s Prince of Darkness… Complete with a new look replacing his “torn face mask” makeover” from “Death of the Family”, and sending a message to Gotham City and its guardian by literally unleashing his master plan of revenge after hiding in plain sight for years since his disappearance and presumed death. If a picture was worth a thousand words, that look spells absolute disaster to our favorite Dark Knight Detective. And so the Joker finally made his move, and by this month’s Batman #37, the third act of “Endgame”, his return signified Anarchy and Chaos anew… The likes of which make for something more SINISTER than what the Dark Knight has ever faced before. 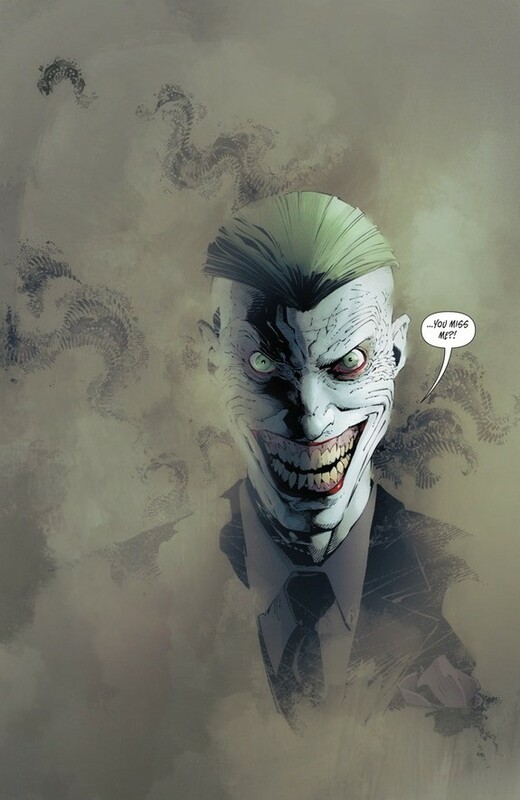 I say that with emphasis on “Sinister”, because writer Scott Snyder and artist Greg Capullo paint a version of The Joker the likes which readers have never seen… And it’s down right disturbing like something from the horror movie of the same name directed by Scott Derrickson that features a demon that goes by the nickname “Mr. Boogie“. Let this spoiler image from the issue give you a clear idea of what I mean and how the new version of the Clown is like… And see if you can sleep afterwards. Yes, apparently the Joker is an “Immortal Monster” if you can believe that, or some demon that has lurked and preyed on tragedies through the years in Gotham. If previous encounters and stories that involved the Clown were disgusting or insane, this takes the cake. 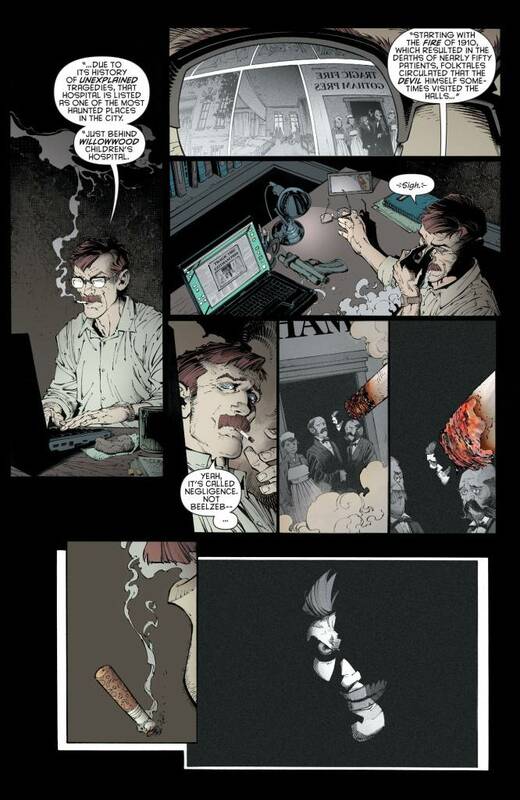 This is a NEW KIND OF JOKER… A horrific kind that has plenty of unpredictable surprises up his sleeve. 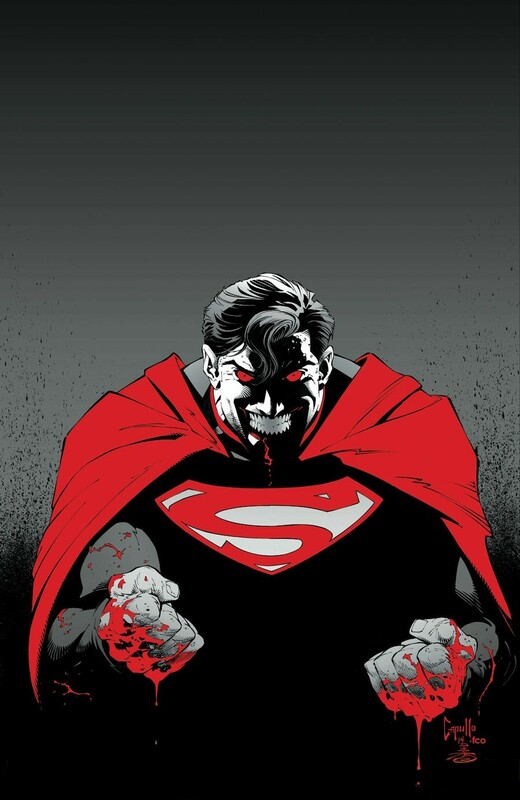 Unleashing the same maniacal virus he infected the Justice League with on Gotham City, Batman and Commissioner Gordon have to contend with a “Dawn of the Dead” scenario and stop an “undead” like plague from spreading and causing chaos on Gotham. 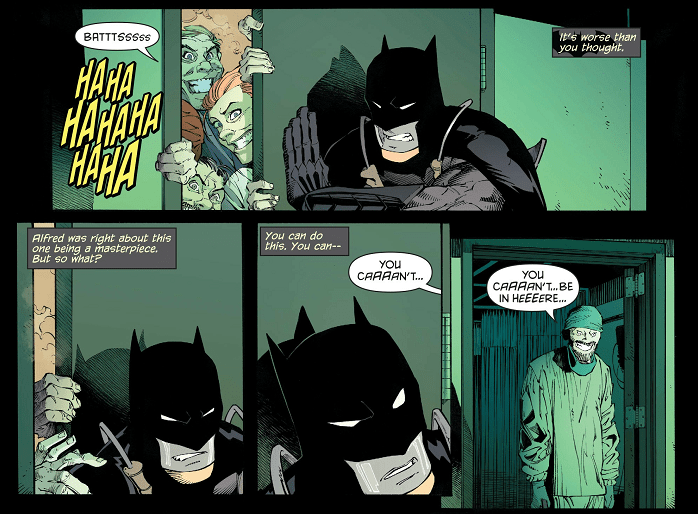 The new biological threat from the Joker remains immune to any cure or contingency Batman’s allies try to find, and there’s no yielding to the evil prankster’s chaotic attacks. That isn’t even the startling shocker there… JOKER KNOWS… And that’s the only thing that I will say until the next issue hits in January 2015. 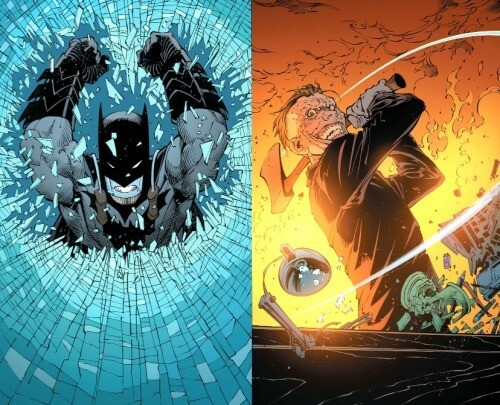 So indeed, this has been a stellar year for Batman fans. There’s plenty more for the Caped Crusader in the coming years ahead I’m sure, and Endgame will certainly bring things to a point and end on a high note when all is said and done. Stick around and keep track of things, same Bat Time, same Bat Channel. Happy 75 Years, Batman… And good luck in facing The Joker.